Anna’s Secret Legacy-Myth, Power and Alchemy define all our existences! Thank you for taking the time out of your busy lives to read my blog! I been thinking a lot about what to say today and it keeps coming back to me that my book (and the process of its birthing) and your lives have a great deal more in common than one might observe on the surface. Allow me to give you some background and how I see the Big picture. 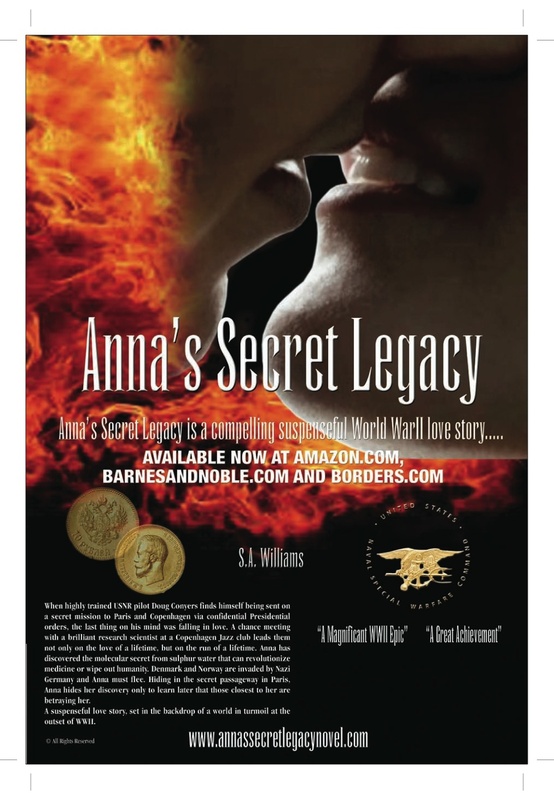 When I started writing “Anna’s Secret Legacy” I did not sit down, pen-in-hand, and say “I will write a World War II romance-thriller.” It actually started with my adventures as a very young teen in a boarding school in Paris. My imagination had created some characters, and a setting somewhat loosely based on my school experiences. My first step was to produce a DVD teaser that I perceived to be a certain feature film, and it was well received. I was headed in a certain direction. I thought. But like any work that has artistic merit-the project took on a life of its own. The DVD opened doors, which led in turn to various Synchronicities and other ‘coincidences’ that helped give shape and life to the story. To the story which had to start in the beginning of WWII in Scandinavia. My interest in Einstein, and my interest in sulphur water along with meetings with various scientists who held fascinating theories, compelled me to explore them to their logical conclusions. Hence my interest in The Neils Bohr Institute. And what does the creation of an historic novel have in common with your life and your legacies? Ah, this is where it gets really interesting. Three words play a role in the pursuit of your vocations and life, and of “Anna’s Secret Legacy.” Those words are MYTH, POWER and ALCHEMY. “Myth” is not a falsehood: the word is commonly misused, to indicate that something is an untruth. This entry was posted in Amazon, Anna's Secret Legacy, Anna's Secret Legacy Blog, Annas secret legacy novel, Barnes & Noble, Book Blog, Borders, Love Affair, Pilots, Saratoga, Scientific Discovery, spies, Travel, World War II. Bookmark the permalink. ← An Earth-shattering Molecular Discovery- ‘a cure all’ from Sulphur Water Threatens Anna’s life and Possibly the World!